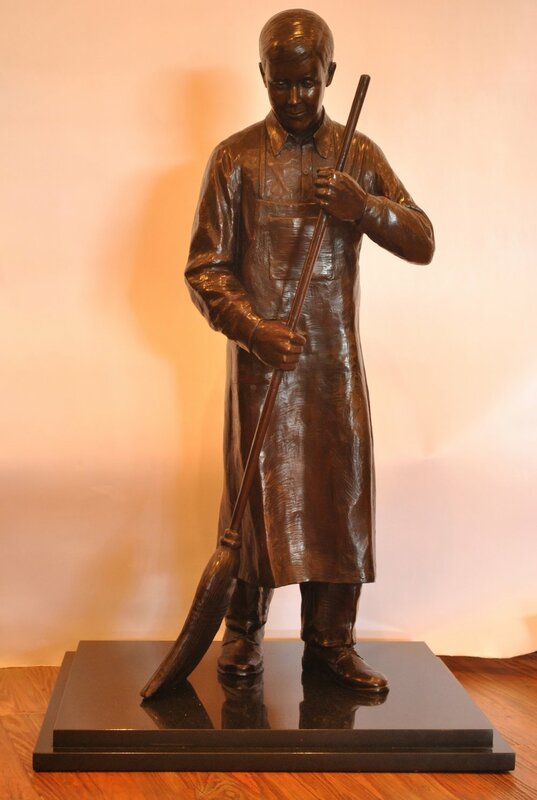 The Prasco Company, in Mason, Ohio, commissioned this sweeping boy as a gift to honor their founder on the occasion of the completion of their new facilities. Prasco is a pharmaceuticals company that concentrates on making the cost of high priced drugs affordable to the people who need them. 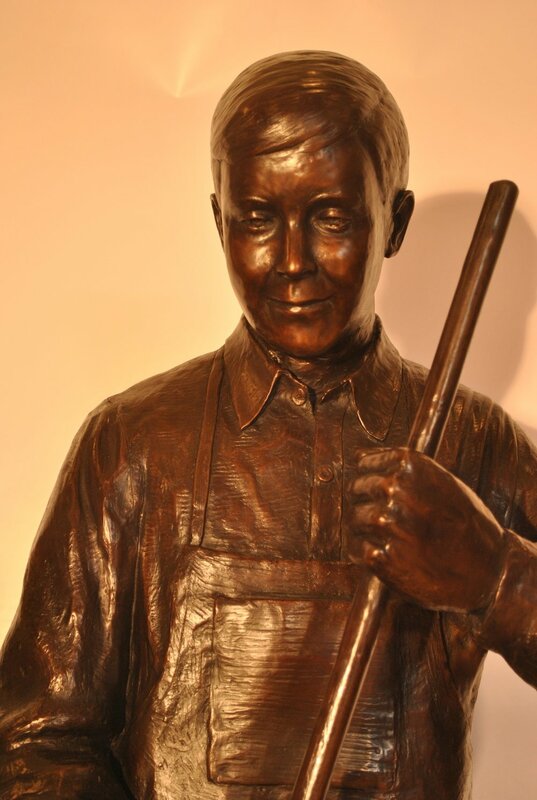 This sculpture depicts the first job that the company's founder, Thomas Arington, had as a boy: sweeping the floor at the drug store in his hometown. Bronze with black granite base.